In February 2013 up in the attic bedroom of our student house, Gareth Thomas, Ben Jones and Ollie Jackson after another prolonged football debate decided it was time we did something about the question, 'Who is the best player in the World?'. Housemate Liam suggested setting out to find the greatest 50 players of all time, this swiftly grew to 100, 150 and 200 before we settled on 250. Our original website www.top250.webs.com is still there to answer the debate but we furthered our work to blogging about the beautiful game starting up www.thefootballhistoryboys.blogspot.com. Missed the last installment? Here it is! "He was one of the most unpredictable of Sacchi's side, capable of incredible actions, supported by his powerful physique. Strong in the air and on the ground, during his first year as a Rossoneri, Gullit won a League Title. Despite his meniscus and knee injuries he won another two League Titles and numerous cups including two UEFA Champions League and two European/South American Cups. Gullit won the Golden Ball in the 1987 and he dedicated his victory to Nelson Mandela, a demonstration of his anti-racist commitment." AC Milan - " Hall of Fame"
"“Le Roi”.“Le Dieu”. Or good old – but never, ever, plain old – Eric. Whatever you want to call Monsieur Cantona, the Frenchman’s four-and-a-half seasons at Old Trafford are the stuff of legend.No.7 shirt collar as stiffly upright as if it had been starched, that imperious look, theatrical swagger and poise, Eric Cantona was born to play for Manchester United – and, even better, he was pinched from across the Pennines to do so." "Giacinto Facchetti could perhaps most aptly be described as the Pele of the defensive arts. He will forever be remembered as the man who brought fullbacks out of their shells and, while playing under that great architect of catenaccio Helenio Herrera, became the first attacking European of his position in the modern era..
"It was the late 1960s. England had won the World Cup and Manchester United the European Cup. All over the world there were children who could speak only two words of English. One was "Bobby", the other was "Charlton", such was the esteem in which he was held." "In 1999 the No.6 shirt of AC Milan’s Franco Baresi was retired. That same year, he was named Milan’s best player of the twentieth century. More recently, he was officially named as Italy’s player of the century too. These are extraordinary accolades to be given to a defender. 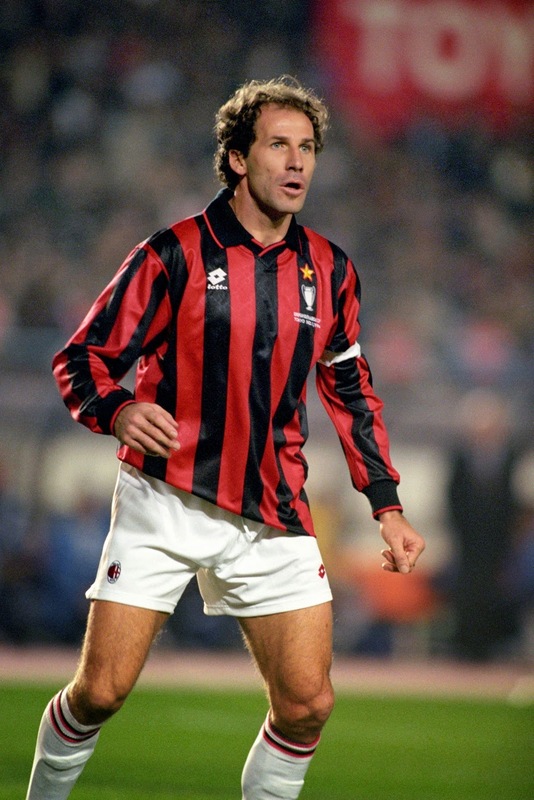 But then, Baresi was no ordinary defender." "He made a mockery of the idea you have to be big, strong and quick to be a great defender. He didn’t rely on his size - he was only 5ft 10in - or his power but he was a brilliant organiser and what he lacked for in pace, he made up for with organisational skills. The way he read a game would keep him one step ahead of the opposition. He was fantastic on the ball. He’d start AC Milan’s attacks by surging out of defence. Brilliant." Voted for by the public between August and December 2013! Missed some? - click here!